Wednesday is one of my favorite day's of the week. If you're new to this blog site, I'm sure you are wondering why Wednesday is so special. Well, I'm delighted and pleased to inform you. Wednesday is Maverick Male Icon day. It's the day that I highlight a Male Icon that exemplifies style in every essence of the word. So, who is the man of the hour? I'm so glad you asked. It's none other than James Dean. He was an American actor that was maverick in his own way. Dean was and still is defined as a cultural icon of teenage disillusionment, which was conveyed in one of his most celebrated film, Rebel Without a Cause. He played in several older films such as East of Eden and Giant. With all due respect, I think the fact that he was such a phenomenal actor is great. However, I want to focus on his extraordinary sense of style. 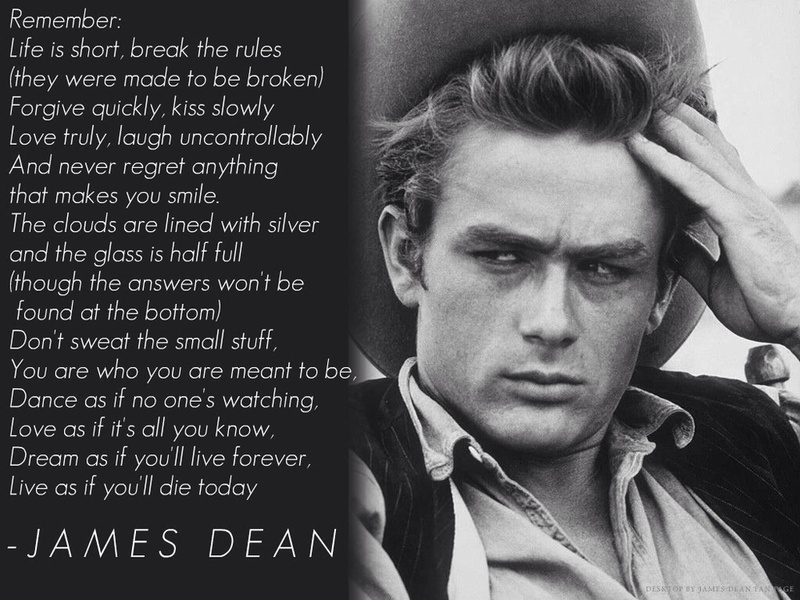 Maverick Men I think we can all learn a thing or two from the man himself, Mr. James Dean. Take a look. You will be inspired. I Say Yes! 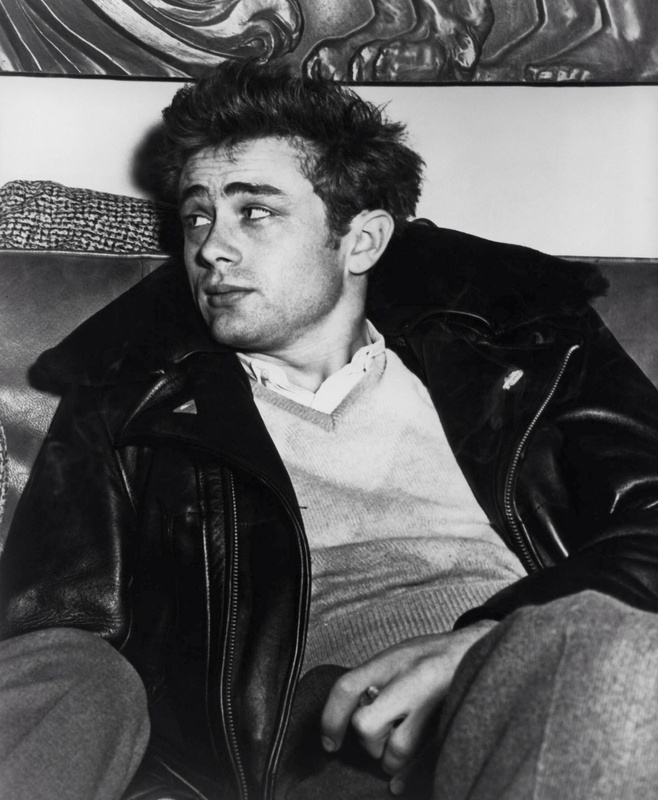 James Dean definitely knew how to execute the proper way to wear a leather bomber jacket. Hence, he knew just how to layer it over the perfect V-neck knit with the perfect button down underneath. Skinny ties are not new to the world of men's fashion. James proved it in this vintage black and white photo. He was wearing skinny ties before many of us Maverick Men even knew they existed. We all know that the classic white T-shirt will always be here to stay. It's not going anywhere. I like to define it as timeless and uber sleek. It's the perfect must have item that every Maverick Man should own. James knew how to articulate wearing a white T-shirt without any mistakes. He took it to a new plateau of style, as he was well accessorized. James knew the importance of wearing the perfect pair of eyewear. It's called reading in style. He had a very clear and precise vision. After all, he's an icon. One shouldn't have expected anything less. Well, to all my Maverick Men, there you have it. 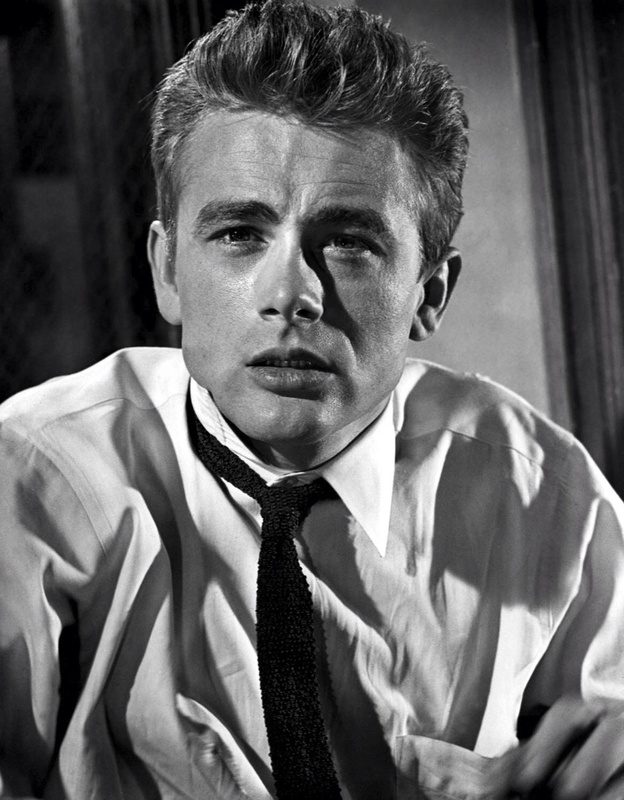 We applaud and salute Mr. James Dean for his flawless sense of style. Remember, your image says a thousand words. I Say Yes! It's that time again. Yes, it's Wednesday! While most consider it hump day, I define it as something totally different. This is a special day of the week that I take the time to highlight and place the spotlight on a Maverick Male Icon. Today's man of the hour is Gregory Hines. I hope every maverick man knows who he is. If not, let me introduce you. Hines was an exceptionally gifted actor, singer, choreographer and phenomenal tap dancer. His craft was simply amazing and unparallel in my opinion to any other tap dancer that exist even to this day. Hines honed in on his gift at the very early age of two. He graced many stages all over the world with his artful skill of dance. However, let's talk about his impeccable sense of style. Hines knew exactly how to dress to impress. He also had a very unique way of connecting his way of dressing with his artistry. This says to me, that even Gregory knew what being a Maverick Man was all about. I love the way he took his fashion to a level that some could understand and appreciate, while I'm sure their were others that didn't quite understand. This is what being maverick is all about. That is why he is today's Maverick Male Icon. I applaud him for his flawless sense of style. I Say Yes! Moving with grace in such a stylish way. There's nothing like a guy in a classic pair of aviators. Hines striking a pose while sitting elegantly in his vintage garb. It's the middle of the week which we all know as Wednesday. Their are some who consider it to be hump day, while I define it as something totally different. Today is the day that I take a moment to highlight in my opinion one of the world's most amazing Maverick Male Icon's. Yes...it's Maverick Male Wednesday! I decided to go into the archives, pay homage, and honor by placing Bing Crosby in the spotlight. I'm sure their are a few that are familiar with who he is, while their are others who are not. So, for those who are not familiar, let me introduce you to this stylish maverick man. By the time you finish reading this, you will never forget who he is and he will be deeply ingrained in your memory. 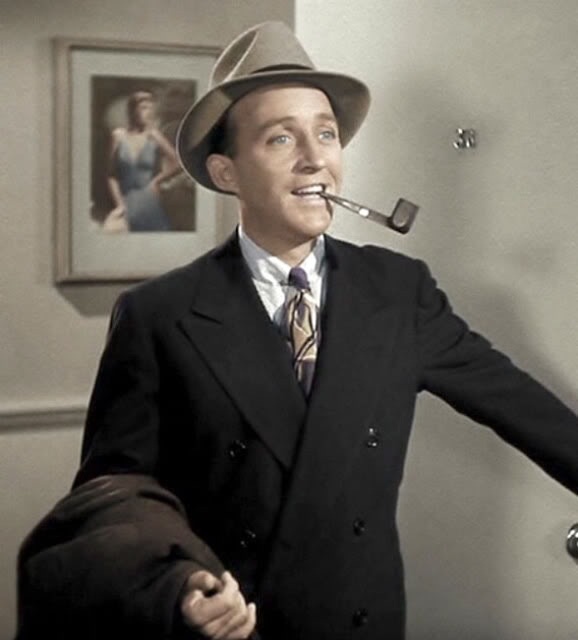 Bing Crosby was known as an American singer and actor with an amazing bass-baritone voice. Crosby was one of the best-selling recording artists during his time of the 20th century. This man was considered a phenomenal leader of his time in record sales, radio ratings, and motion picture grosses. He is what you would define as a multimedia star. I think all of that is amazing and great! However, I want to recognize Crosby for his impeccable and flawless sense of style. It's evident that he was a maverick man and he knew exactly how to dress to impress. Gentlemen take a look at these images. I think we can all learn, adapt, and mock a few of his looks even to this day. Remember, trends come and go. But, keeping it classic is a style that always remains. Today I applaud Bing Crosby and crown him with the award for being the man of the hour...I Say Yes! There is nothing like the perfect accessory to complete your look. Mr. Crosby knew how to execute wearing a hat exceptionally well. What's a suit without a peak lapel and the perfect tie. Crosby took great pride in wearing a suit well. Gentlemen look and learn. Gentlemen a hounds tooth blazer is something that all of us could use in our wardrobe. If Bing Crosby could wear it back then we can wear it now. It's the perfect sports blazer that goes well with jeans or dress slacks.